Part 2) The Bat Shawl. You can (hopefully) see a bat on the left below the ball of yarn. Let’s see, what else…oh! The stitch markers I found online somewhere….they reminded me of Batman and the house colors of Hufflepuff. The needle is ChiaoGoo size 4, 32″ circular. Those are some yummy needles! I bought them specifically for this shawl this year. 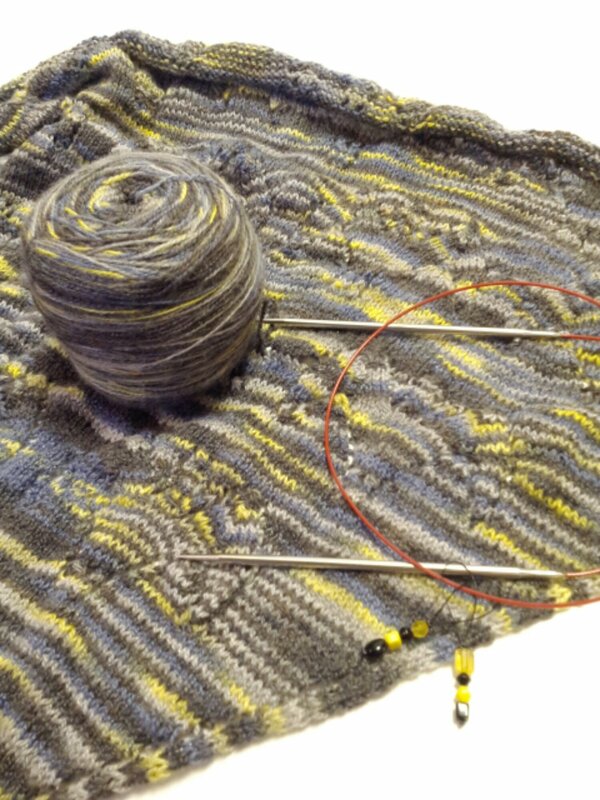 Lace needles have slightly sharper points than regular needle, so it makes a lot of difference when knitting. It sure is a lot easier! I haven’t gotten to this in a month or so but it’s in the WIP bag anyway. I hope to get some time alone with it soon.